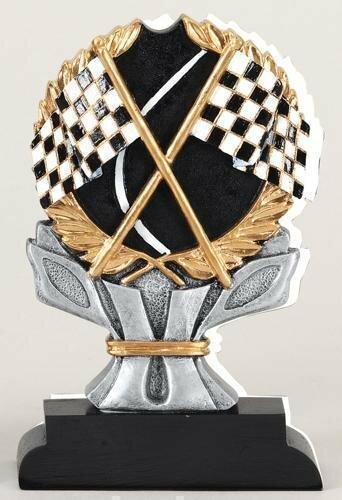 Go-Kart Trophies are available in many styles. FREE Shipping on orders over $100. FREE Engraving. 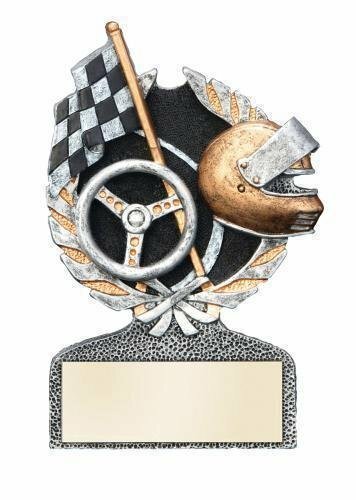 Stylish design along with lots of detail makes theseRacing Go-Kart Award a great choice. 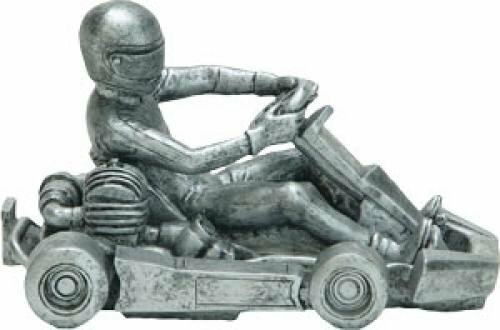 The full go-kart version sports a helmeted driver turning the wheel and gives the appearance of doing a power slide around a corner on their way to victory. 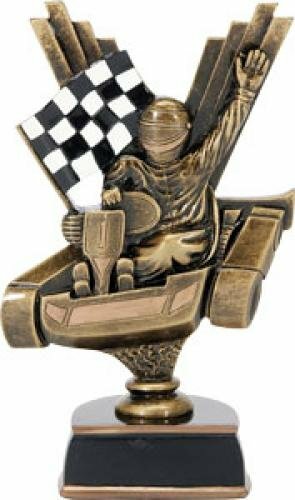 The go-kart victory version stands 9 1/2" tall and comes in a gold tone finish. 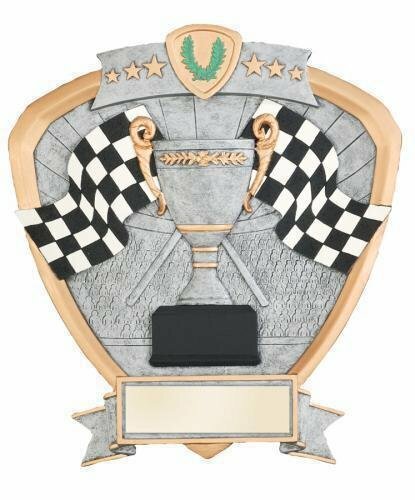 The base on these awards provide plenty of room for whatever your personalization needs may be. 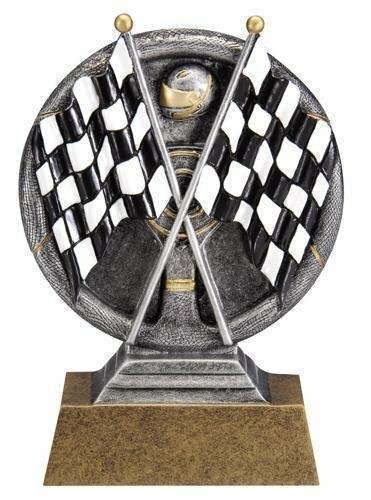 These awards will be the perfect recognition item for your next go-kart racing event. 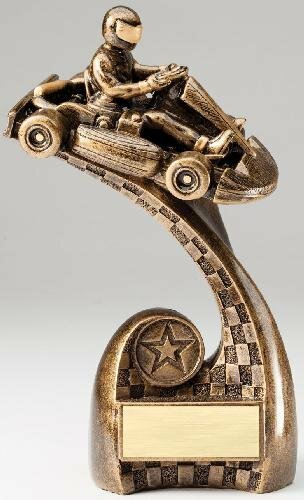 Stylish design along with lots of detail makes these Signature Series Go-Kart Awards a great choice. 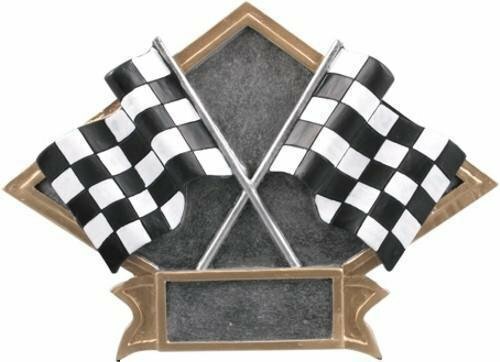 You have a choice of a full go-kart. 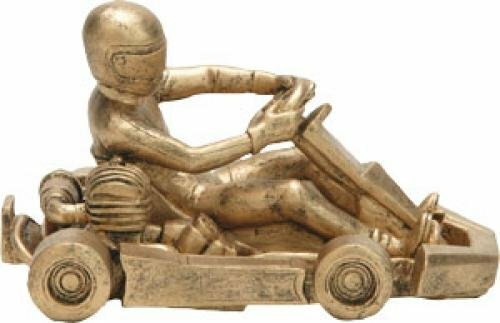 The full go-kart is available in a choice of gold or pewter finish and measures 4 1/2" X 7". 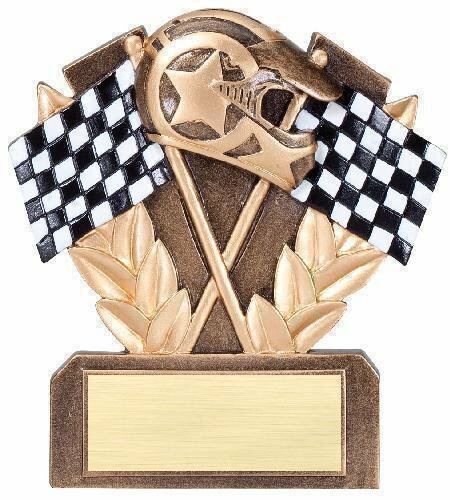 The base on these awards provide plenty of room for whatever your personalization needs may be. 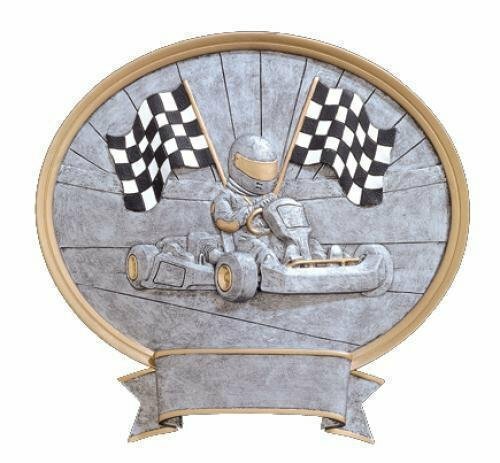 These awards will be the perfect recognition item for your next go-kart racing event. 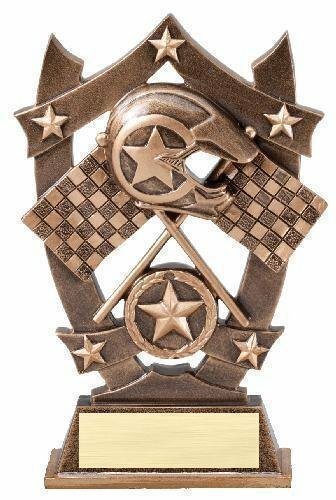 Pewter Finish 4 1/2" X 7"